Beginning Saturday at the Sportscenter in Silkeborg, Denmark, Calgary’s Chelsea Carey team from Calgary will open play at the 2019 LGT World Women’s Curling Championship, presented by Pioneer Hi-Bred. Carey, vice-skip Sarah Wilkes, second Dana Ferguson, lead Rachel Brown, alternate Jill Officer, team coach Dan Carey and national coach Elaine Dagg-Jackson will take on South Korea’s Min-ji Kim Saturday at 2:30 p.m. (all times Eastern) in their opening game in Silkeborg. It will be Kim’s first World Women’s Championship after four straight appearances at the World Juniors. Kim also participated in three Curling World Cup events this season, winning gold in the third leg at Jönköping, Sweden, in February, and silver in the second leg at Omaha, Neb., in December. Carey will be looking to give Canada its third consecutive world women’s gold, following victories by Rachel Homan’s Ottawa team in 2017 at Beijing and Winnipeg’s Jennifer Jones last year in North Bay, Ont. Both Homan and Jones went unbeaten en route to gold. The last time Canada won three straight gold medals was the mid-1980s when Canadian teams actually won four straight — Connie Laliberte in 1984, Linda Moore in 1985, Marilyn Bodogh in 1986 and Pat Sanders in 1987. While Wilkes, Ferguson and Brown will be making their debuts at the World Women’s Championship, it will be Carey’s second opportunity to skip Team Canada; she finished fourth in the 2016 World Women’s in Swift Current, Sask. 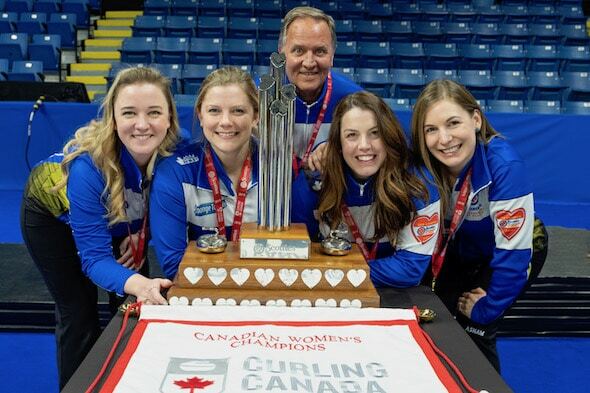 Officer has an abundance of World Women’s Championship experience as a longtime member of Team Jones, including gold medals last year and in 2008 at Vernon, B.C. Wilkes has had two previous opportunities to wear the Maple Leaf — in 2016 at the World Mixed Championship in Kazan, Russia, with skip Mick Lizmore, and in 2013 at the Winter Universiade in Trentino, Italy, playing vice-skip for Laura Crocker’s team. Team Carey will complete its opening weekend in Silkeborg with a pair of games on Sunday — at 4 a.m. against Germany’s Daniela Jentsch (bronze-medallist at the 2018 European Championships) and 2 p.m. against Latvia’s Iveta Stasa-Sarsune. 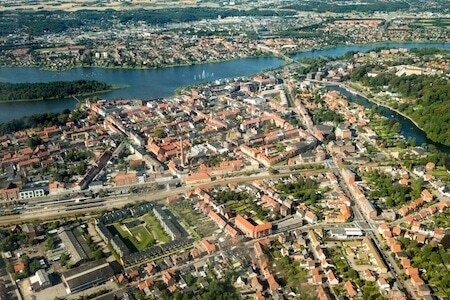 There’s no shortage of star quality in Silkeborg, led by 2018 Olympic gold-medallist and world women’s silver-medallist Anna Hasselborg of Sweden, along Swiss veteran Silvana Tirinzoni, who has 2015 world champ Alina Pätz throwing fourth. Canada will face Switzerland Thursday at 4 a.m., and will be up against the Swedes Friday at 4 a.m.
Other teams in the 13-team field are China’s Rui Wang, the host Danes skipped by Madeleine Dupont, Finland’s Oona Kauste, Japan’s Seina Nakajima, Russia’s Alina Kovaleva, Scotland’s Sophie Jackson and Jamie Sinclair of the United States. Canada has won a leading 17 gold medals at the World Women’s Championship since its debut 1979, followed by Sweden with eight. Round-robin play will run through to Friday, March 22, with the top six teams making the playoffs; no tiebreakers will be played, so ties for playoff spots will be broken based on head-to-head results, and if that doesn’t resolve the tie, then the pre-game Last-Shot Draw distances. The top two teams from round-robin play will be seeded directly into the semifinals, while third will play sixth and fourth will play fifth in the quarter-finals on March 23. The winners will advance to the semifinals later on March 23. 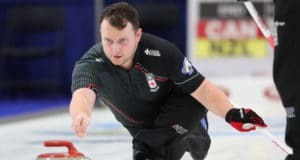 The semifinal winners will play for gold on March 24 at 11 a.m., with the semifinal losers battling for bronze on March 24 at 5 a.m.
TSN/RDS2, the official broadcast partners of Curling Canada’s Season of Champions, will provide live coverage of Canada’s round-robin games, in addition to all playoff games. CLICK HERE for TSN’s complete broadcast schedule. 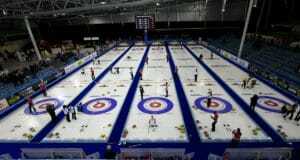 The list of teams, schedule information and live scoring can be found on the event website, www.worldcurling.org/wwcc2019. 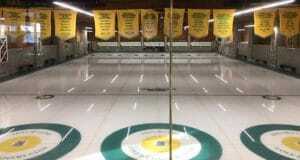 The 2020 World Women’s Curling Championship will take place March 14-22 in Prince George, B.C.